On Tuesday, 23rd Jan, 2018, Dolores O’Riordan was laid to rest next to her father in her home city of County Limerick, Ireland. 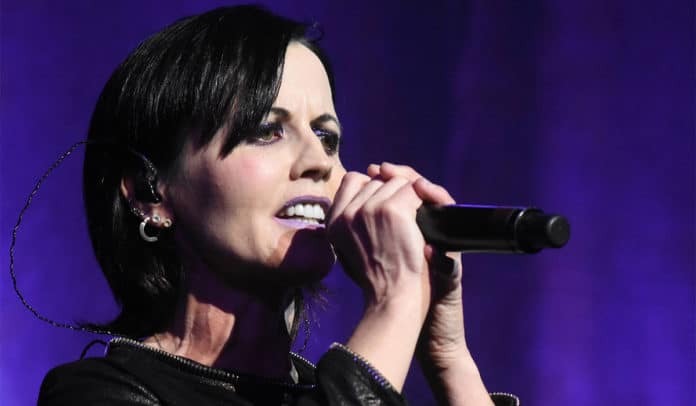 The 46-year-old front woman for the Cranberries had died on 15th January. A mass was held at the Saint Ailbe’s church in Ballybricken where friends and family remembered her. Later, at a private burial, she was buried next to her late father Terence in the Caherelly cemetery. The guests at the service included Dolores’ mother Eileen, her boyfriend Ole Koretsky, her ex-husband Don Burton and their kids Molly, Taylor and Dakota Burton. The Cranberries band members Noel and Mike Hogan and Fergal Lawlor as well as Bono’s wife Ali Hewson were also in attendance. The service began with the rendition of the classic tune Ava Maria, which was sung by Luciano Pavarotti and Dolores. Then a retired parish priest, Canon Liam McNamara, who is also a close friend of the family, spoke to the congregation about the late singer. He praised her personality and her beautiful voice and said that she had helped countless people recover from depression. The priest said that there were not enough words to describe the influence she had had and what she had accomplished over the years. Eileen, Dolores’ niece, took two gifts that represented the singer’s love for music to the altar; a platinum disc award and a guitar. Patrick, her nephew, presented a picture of Dolores’ great great grandmother of Our Lady of Dolours, for whom the singer was named. A poetry book was also taken to the altar by Breffni, Dolores’ life-long friend. The first reading was done by her sister Angela whereas the second was done by Andrew, her nephew. At the end of the service, Andrew also performed with his brother Daniel, as both of them had been members of the Limerick Pipe Band. The Prayers of the Faithful were read by the signer’s five grandchildren, Luke, Gerard, Megan, Colm and Brandon. Canon McNamara also made a reference to the members of The Cranberries and said it was difficult for them as well and send sympathies their way. Tribute was paid to the singer by the independent radio stations in the country when they played the 1996 hit of the band, When You’re Gone on Tuesday, after the midday news. While her death is not being treated as a suspicious one by the Metropolitan Police, an inquest into her death has been postponed till April 3rd as the coroner hasn’t received test results as yet.